3 Beds 4 Baths 1 Partial Bath 2,314 Sq. 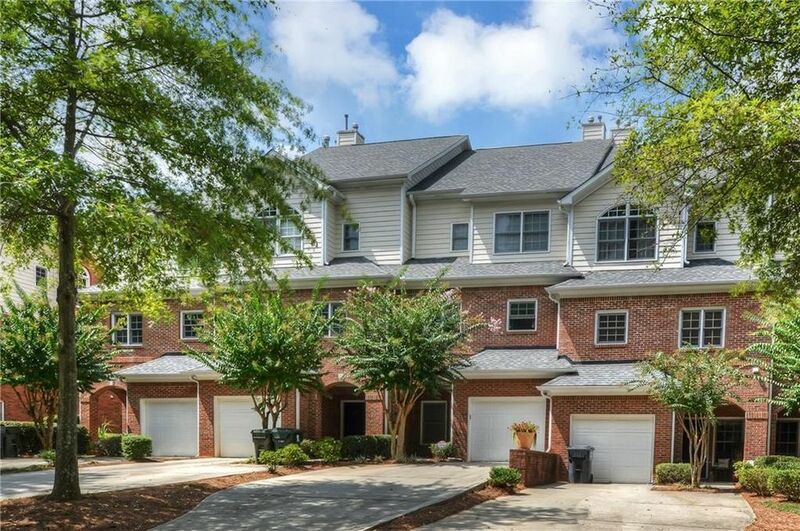 ft.
Immaculate 3 story brick Townhome in wonderful north end of Sandy Springs near the River! One mile from GA-400. Perfect layout & many special features to offer. Warm Foyer as you walk in and large bedroom w/ full bath on 1st Level. Main level is open & bright! Hardwoods throughout mail level, gas log fireplace between dining and spacious living room, Upper floor features amazing oversize master suite w/ trey ceiling. Spacious master bath w/ Double Vanity Separate Tile Shower & COMFY Garden Jetted Tub! Large Deck w/ steps to patio below. Perfect for entertaining! Thx! Directions: GA-400 North to Exit 6 Northridge Rd., stay in the right lane to Dunwoody Place. Go to second traffic signal, Left onto Hightower Trail, second Right on Wing Street. Home is on the left near the cul-de-sac. OR from Sandy Springs, Roswell Rd to Right on Hightower, left on Wing St. Thanks for Showing!